HMH Books for Young Readers, 9780152024017, 32pp. The twins take up too much space and they need two of everything-two cribs, two high chairs, two of every toy. They also need two parents to watch out for them all the time. Who’s left, their big sister wonders, to watch out for her? 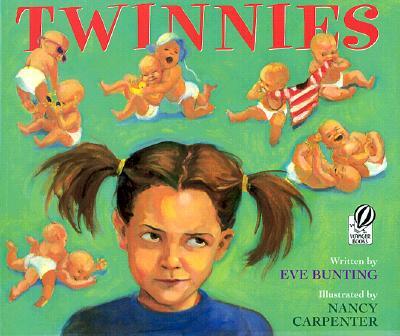 Nancy Carpenter, illustrator of many successful picture books, lives in Brooklyn, New York.